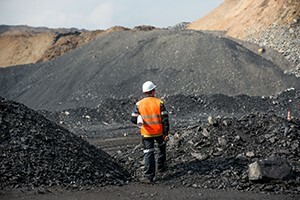 A recent National Institutes of Safety and Health (NIOSH) report in The American Journal of Public Health shows startling statistics among long-time coal miners. One in ten miners who have worked underground for twenty-five years or more were identified as having black lung. And further, coal miners in central Appalachia who have worked as long were reported to have black lung at a rate of one in five, the highest rate in twenty-five years. The data was collected through NIOSH’s Coal Workers Health Surveillance Program, which has tracked the prevalence of black lung since 1970. Since 2000, nationwide prevalence of black lung has increased. Prior to that in the late 1990s, researchers had found that it has reached its lowest levels. To combat this unsettling trend, NIOSH continues to work to define the scope of the problem, improve methods to detect and control dust, and bring medical screening like periodic chest x-rays to those most affected regions of the country.